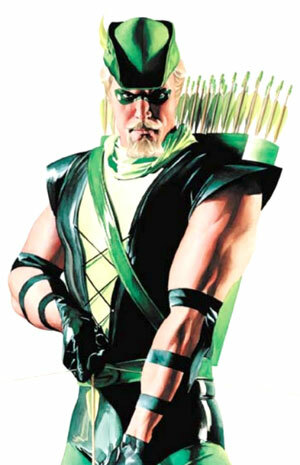 It's just a green arrow, I believe. It is in the same location as the Skull Squadron squadron insignia, so it's quite possible it is one for a "Green Arrows" squadron or something. heres a question - How does Alto's visor/helmet smash and crumble away when he screams in it? Actually, according to the squadron markings section in This Is Animation Special Macross Plus book, the SVF-38 Green Arrows, is an actual squadron bstationed on the SDF-1. If you have the book, the squadron markings appear on page 86. JET7, I think you mean "figment", not "pigment"... Unless that was intended as a pun on the topic, in which case it's ingenious, congratulations. Further to Beltane70's answer, I remember a lot of people on these forums long ago debated the existence of "the cannon fodder valk" within the DYRL universe, since the standard issue brown scheme from the TV show was mostly missing except for this "Green Arrows" incarnation. So before Yamato really started cranking out the variants, some were really hoping for them to release Green Arrow valks in toy form eventually. We never did get one, although it's just as well since judging by the few responses to this, the interest in this squadron has pretty much died amongst the members here. Who are the supervision army and why do we never see them in a Macross series? Well... to explain it without delving too deeply into Macross 7's backstory, the Supervision Army is a military force made up of Protoculture people (and presumably Zentradi as well) who were captured and then brainwashed by the Protodeviln to help them harvest life energy from people. As to why we never see them in Macross, except for the pre-reconstruction Macross and the similar wrecked ship Britai's ship encounters later on when they set out to capture a factory satellite, it's presumably because they're still fighting with the Zentradi elsewhere in the galaxy, and by all accounts are losing the war... since Britai was basically carrying out mop-up operations when he found the Macross in 2009. It could be argued that the enemy force in Macross 7 (Varauta Army) is basically a "new Supervision Army" though, since it's made up of spirita-drained and brainwashed people and headed by the Protodeviln. The Varauta Army in M7 were made up of military and civilian personnel from the Megaroad 13 emigration fleet that first encountered the imprisoned PD and were thus taken over. Even though no reason is given anywhere, there has been much speculation and debate on these boards as to why the PD did not try to contact their old Army once they awoke. hello all, peter tron here! i am looking for some kind soul to re-upload the english subs for the macross 7: encore episode 'Fleet Of The Strongest Women'. Did you PM boinger or visit the links in his signature? You'll probably want to consider that. 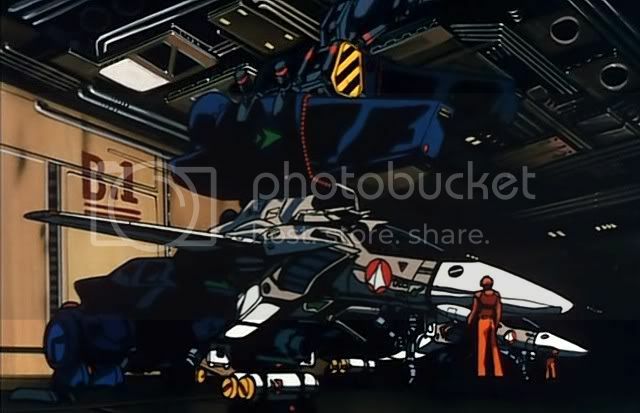 So is it safe to say that the murdock from macross 2 is the supervision army referenced in the original series. No, since Macross II is a sequel to DYRL, in which the Supervision Army don't exist. No... as Gubaba said, the Macross II: Lovers Again OVA is a sequel to the movie Macross: Do You Remember Love?. Macross II belongs to a parallel world continuity separate from that of the Super Dimension Fortress Macross TV series and the other Macross sequels. In DYRL and Macross II, the Supervision Army doesn't exist. Instead, the Zentradi were at war with their female counterparts, the Meltrandi. The Mardook are something else entirely. 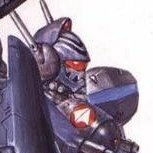 I"ve been looking everywhere for information about this one particular enemy powersuit that we see for something like 3 second during the final battle of the SDF Macross TV series. See i think it's a much better design than the standard N-Ger that they had but, i guess cause we only see it for 3 seconds, there has been no explaination of it like other mecha have. So i'm wondering if anyone has ANY info about this design?????? That's Zor's lost battle armor, possessed by the AI spirit of Zor's black box run on Protoculture, using "The Super Secret Stealth Shadow Technology Zero System," which allows its pilot to forsee any potential action on the battiefield. Those are standard Nousjadel-Ger power armours painted a different colour. Other than the different paint, they may look different because they're drawing by animators different from the designer. That's all. Like Sketchley said, but I think it is also a trick of the perspective making them look different. So, don't be 'that guy' that takes every little animation error/color change/line difference and assumes that they are looking at an entirely different craft. Looking at you Tommy Yune and inumerable Star Wars and Star Trek fans. Does any one know what powers the Destroyds during the Unification war? MAHQ does not give any clue, but the destroyds after the war are powered by a small thermonuclear reactor. Did they also have to Wait for a compact power plant? The Cheyenne used a gas-turbine engine. The Monster Mk IP (read Mark one-P) used a thermonuclear engine. Quite a while ago. They're fake. Gotta be fanart. Very good fanart, but still fanart. thx, gubaba. thx graham. does look different from shoji-sama's design drawing style. Ok i wasn't sure where to put this thread so please excuse me if i'm in the wrong place. 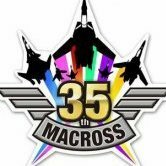 I've seen in various threads here about different Macross events in Japan (the ride? wonderfest etc etc). I'm heading to Japan last week of March, is there any Macross related events or other macross places i should visit while i'm there? Macross The Ride, isn't an amusement park thing. It's a serialized novel in Dengeki Hobby magazine. Wonderfest (shorthand for Wonder Festival Japan) is a bi-annual toy/model/hobby show in Japan, usually during Winter and Summer. It normally focuses on "garage" kits. It hardly ever focuses on just Macross, but more on custom kits such as customized plamodel kits, custom sculpts, busts, figures and much more. I would suggest you talk to Tochiro about upcoming events. I think the only Macross related thing that you can experience, pretty much in any major population center at pretty much any time, is the second Macross Frontier movie, which should still be playing during the last week of March. So in other words, there is absolutely no special Macross merchandise viewing or showroom or event or otherwise? I've been wondering lately about the absence of S-types (and further variants) in the VF-11 and VF-4 lines. The VF-1, VF-17, VF-19, and VF-25 all had the S-type and at least one other version. The VF-4, however, doesn't have any apparent subtypes, and the VF-11 only has the B and the C (super/armor packs notwithstanding)which effectively is nothing but a palette swap. Has there ever been a stated reason why these two don't have leader/grunt setupts like the other valks? 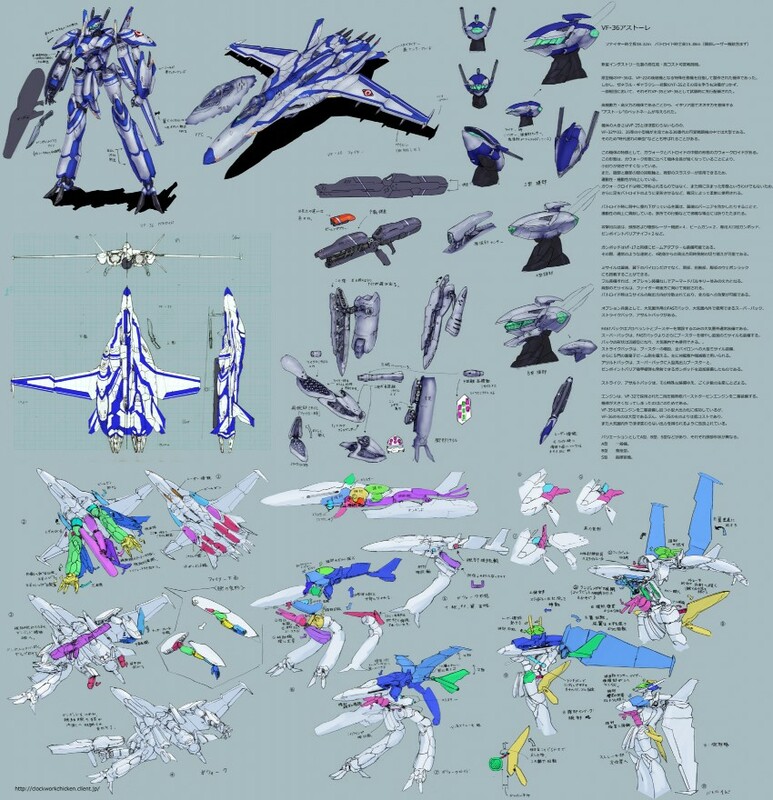 It bugs me because I've gotten the impression that the VF-4 was mass-produced and was the successor to the VF-1, and that the VF-11 was that to the VF-4. It also bothers me because the Valkyrie before them and the Nightmare/Excalibur/Messiah after them all have that setup, so it seems weirdly inconsistent. The thought came to me earlier when I was looking at the lineart for the VF-11B and thinking "I'd love to see a VF-11S..." and I started wondering why there isn't one. This'll get merged into the newbie thread... but I'll have a go at it first. I've been wondering lately about the absence of S-types (and further variants) in the VF-11 and VF-4 lines. [...] Has there ever been a stated reason why these two don't have leader/grunt setupts like the other valks? 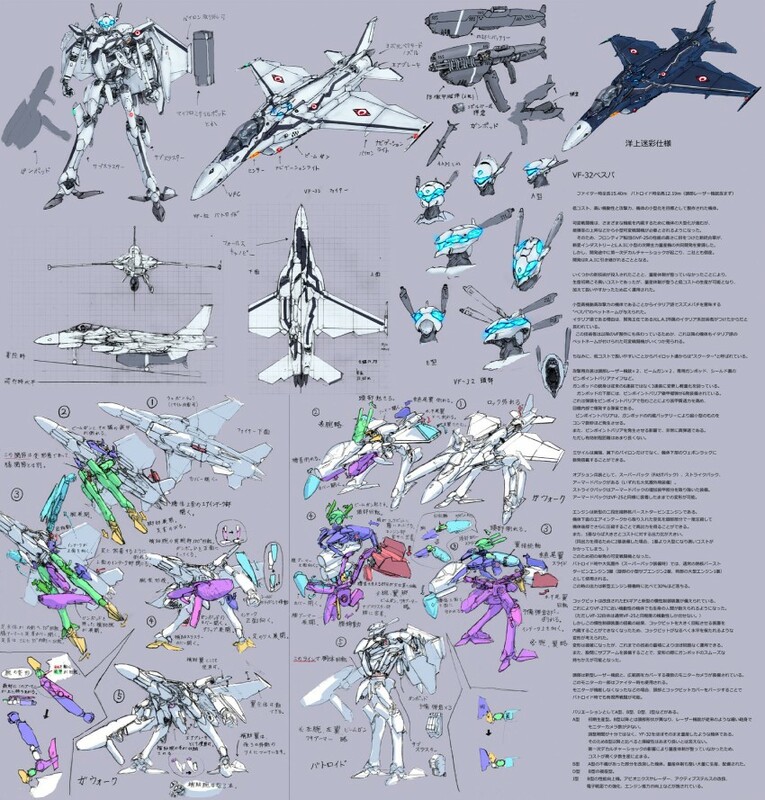 It bugs me because I've gotten the impression that the VF-4 was mass-produced and was the successor to the VF-1, and that the VF-11 was that to the VF-4. Uh... actually, the VF-4 does have a -S variant, it's just not an "elite" model. The main continuity's VF-4S was a Navy model, simplified for use as a dedicated atmospheric fighter and treated to prevent salt damage while it's operating as a carrier-based fighter. Now, on the other hand, Macross II's parallel world continuity has its own version of the VF-4 (the VF-4 Siren), and its own VF-4S. In that case, the VF-4S was a major upgrade from the VF-4, sporting an S-type head turret and optional gear including a massive beam rifle and honest-to-goodness funnels. As to why the main continuity's VF-4 Lightning III and the VF-11 Thunderbolt don't have a -S variant specialized as a command model, I don't think there's ever been an official reason. From a realistic standpoint, having such a "leader custom" is right out... it would create an extra burden on the maintenance teams, and it would make identifying officers easier for the enemy. If I had to guess, I'd say that it was probably for the sake of simplicity, since the VF-4 and VF-11 were both deployed to colony fleets, where having a bunch of different variants like that would likely be an unnecessary strain on the fleet's limited resources. You are, of course, right to assume that the VF-4 and VF-11 were mass-produced main VFs at one point or another, though the VF-4 shared that distinction with the VF-5000 for a time. It also bothers me because the Valkyrie before them and the Nightmare/Excalibur/Messiah after them all have that setup, so it seems weirdly inconsistent. The thought came to me earlier when I was looking at the lineart for the VF-11B and thinking "I'd love to see a VF-11S..." and I started wondering why there isn't one. Well... the Nightmare, Excalibur, and Messiah haven't really seen widespread deployment. The Nightmare was the special forces fighter of choice, and thus was only ever available in limited numbers anyway (718 built, IIRC). The brakes got put on the widespread adoption of the VF-19 for various reasons, and the VF-25's still in OPEVAL, so the -S variant might not make it through to the NUNS model... though at least in the VF-25S's case the -S variant offered some kind of advantage specific to its role as a command unit. All of the big, post-VF-1 mass production models to date in both of the Macross timelines have done without a "leader" variant... the Macross main continuity's VF-4, VF-11, and VF-171... and the M2 parallel world continuity's VF-4 and VF-2 families.